(6) Finance Linked Individual Subsidy Programme. To apply for any of these, you have to register with your municipality or provincial Department of Human Settlements. You will need to be over 18, and either a South African citizen with an identity book or card, or a foreign resident with a permanent residency permit. Different housing projects are designed for different incomes and so you may also have to provide proof of your monthly income. Depending on where you are, you will be listed on a Municipal Housing Demand Database or your province’s Housing Needs Register. When new projects are built you might be allocated housing. Remember to keep your proof of registration. If you move let the department where you applied know so they can find you if your house becomes available. Note: allocation of government built houses is complex. Each municipality or province has different systems for housing allocation, and so the information here is only a guide of what is available and how to apply. Each municipality has its own system for appeals, but each province’s MEC is allowed to review applications on a case-by-case basis. If your application gets rejected, try contacting your MEC of Human Settlements for help. These are houses that have been built by the government and are given to low income families. Government Subsidy houses are owned, not rented, by beneficiaries. If you are disabled you are supposed to be given preference and your house is supposed to be adapted to meet your needs. You will be asked to fill in a housing subsidy application form. Depending on your province or municipality, you will then be registered on the National Housing Needs Register or your Municipal Housing Demands Database. This is a “waiting list”. Once the project is finalized and the houses built, you will be given keys and a title deed to your home, but it can take many years. It is illegal to sell an RDP house before you’ve lived in it for eight years. It is illegal to rent out an RDP house. To check how far you are on the waiting list for a house call 0800 146 873 or go to your municipality’s website. Note: There is a common misconception that individual ward councillors are involved with the allocation process. They are not! Ward councillors can tell you where to go and who to speak to so that you can register on the housing database, but a ward councillor is not involved in the allocation of houses and you shouldn’t pay a ward councillor to take up your case. 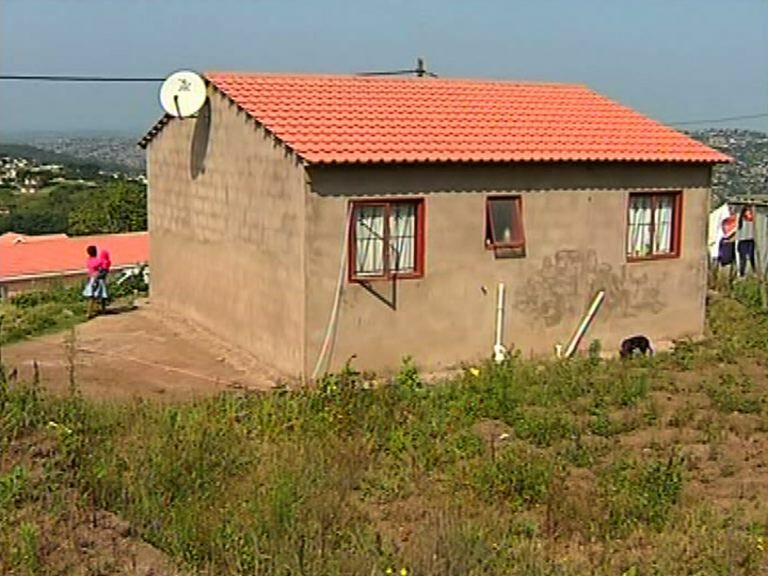 This housing programme is also aimed at households who earn less than R3,500 per month. CRU housing units are for rent and not for sale. This project is aimed at refurbishing inner city buildings and hostels. The municipality will charge you rent to cover the municipal rates of the house. Have a monthly household income of between R800 to R3,500. If you have previously owned property, you are still allowed to apply for CRU. This programme tries to provide running water, sanitation, electricity and roads to informal settlements, but not necessarily houses. If your informal settlement receives UISP funding, you can later apply for housing construction assistance through other programmes. You cannot apply for UISP. Municipalities identify informal settlements in their area that need upgrades and then apply to their provincial department’s MEC for funding. After funding has been set aside, your community will be invited to come to planning meetings to determine the needs of your community. Caution: This can be a difficult process. A lot of municipalities prefer to relocate entire informal settlements instead of upgrading it because getting engineering services into overcrowded informal settlements can be difficult. Put pressure on your ward councillors and municipal officials to ensure that the budget for UISP is used for upgrading your settlement. If you earn more than R3,500 but less than R15,000 per month (which is the minimum amount needed to qualify for a home loan from a bank), there are some state-driven housing initiatives which apply to you. FLISP helps people who qualify for a home loan to buy a house for the first time. FLISP gives you a grant which can be used to reduce the initial loan amount. This will make your monthly repayments lower. Depending on how much you earn, you can apply for a grant up to R87,000. FLISP grants can be used for both existing houses and to build a new one. Besides getting approval for a home loan and earning between R3,500 and R15,000 per month, you must meet the same criteria as described for RDP houses above. To qualify for a home loan you have to be over 21, have been employed for a minimum of six months, have no defaults on your credit profile and earn above the minimum salary requirement as decided by your chosen bank. If your home loan application is denied, your FLISP application will not be considered. Ask for an “Approval in Principle” letter from the bank. Register on the FLISP website: www.flisp.co.za or go to your municipal offices to register for a FLISP grant. Once this is done, your completed FLISP application will be sent to the National Housing Finance Corporation to be processed. Municipalities and provincial governments can subsidise companies to develop new housing projects if some of the houses are rented as affordable housing. This makes the building and planning of the projects cheaper, which makes rent lower. Each municipality has to conduct an Integrated Development Plan every five years to see what the housing needs are. Participating in your community’s Integrated Development Plan Representative forum is a good way to communicate your housing needs to the municipality. SHPs are mainly (but not only) for households earning between R3,500 and R7,500 per month. You can qualify even if you have benefited from other housing projects in the past, but you may not currently own property. Couples (married or living together) qualify, or single people with dependents. To apply for an SHP, approach your local housing office about planned SHP projects in your area. Depending on the province and project, you may have to apply directly to the institution or company that is managing the SHP. It will have its own screening process. Note: All of the above programmes tend to be advertised during the Integrated Development Plan Forums, or otherwise they should be advertised at local housing offices. Sometimes your municipality or province will advertise online on their websites. Keep a lookout for signs near new developments, or speak to your ward councillor about which projects are being planned. In addition to all the above programmes government also has an Emergency Housing Projects programme, but this is seldom used, so we don’t cover it here.